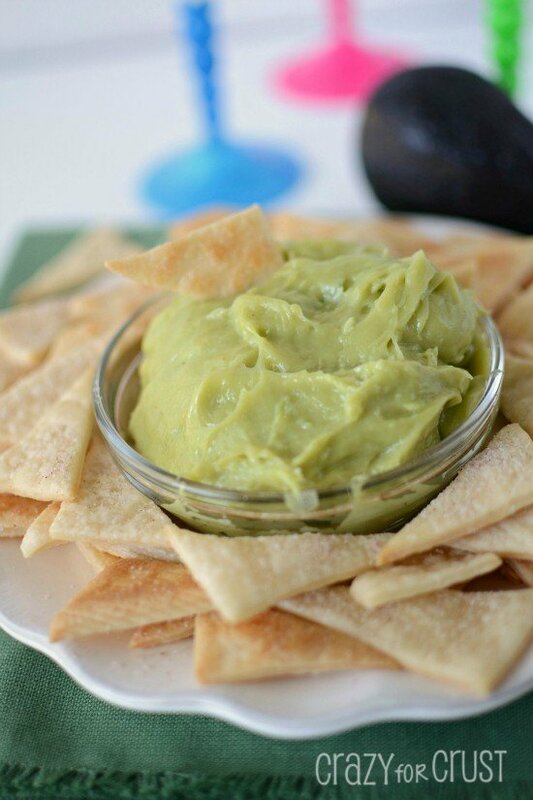 This Sweet Guacamole Dip is perfect for Cinco de Mayo and will satisfy your sweet tooth and curb your avocado craving at the same time! Don’t run screaming. Please! You don’t want to miss this Guacamole Dip. Really, if you’ve followed my blog at all, you know how nuts I am for avocado. I am addicted to that green goodness! If given the opportunity, I would eat avocados every single day. I’d eat them on toast, on quesadillas, and with my dessert. Yes. I said “dessert” and “avocado” in the same sentence. Before you wrinkle your nose at me, I need to assure you: it doesn’t taste like regular guacamole. There are no onions, no tomatoes, and no garlic. No salsa or cilantro. Avocado-as-dessert tastes like citrus. Not quite lemon, not quite orange. Just…like citrus. And believe me, I know. I’ve made Avocado Frosting, Avocado Popsicles, and Avocado Whipped Cream. All of them were amazing. Why? Well, because this Guacamole Dip is filled with cream cheese and sugar, for one. For two, it’s served with Pie Crust Chips. Yes, you read that right. Pie Crust Chips. I took a refrigerated pie crust and sliced them into triangles, sprinkled them with sugar, and baked them. Then I sprinkled them with a little cinnamon sugar I had left over from those Sopapilla Cheesecake Hand Pies. Seriously, people. I ate my weight in those chips. With and without the dip. 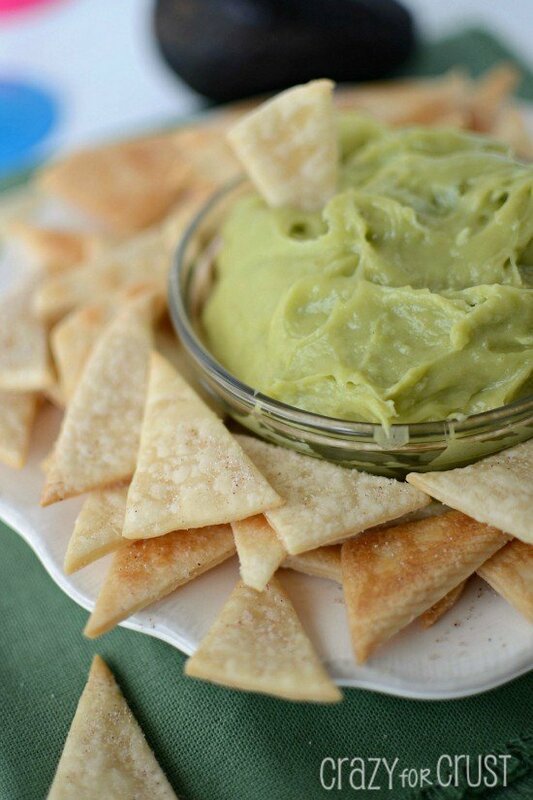 The key to using avocado in a Sweet Guacamole Dip is making sure it’s pureed all the way. Use your food processor, or mash it a lot with a potato masher. The food processor is my first choice, because it’s also wonderful at getting the cream cheese really smooth. Once the powdered sugar and vanilla are added you’ll want to lick the bowl, believe me. I urge you to use really fresh avocados in your dip. Mine was a little past it’s prime, and it browned by the next day. Serve this the same day for best results, but when I made all three of the other avocado recipes, the freshness of the avocados kept it green for days in the refrigerator. Just something to keep in mind when shopping for your ingredients. This Guacamole Dip will wow your friends at your Cinco de Mayo party, believe me. And if id doesn’t, well. Boo to them, but yay for you, because you’ll get it all to yourself! You must try avocados as dessert. Seriously, you will not be disappointed. If my daughter can eat green dessert and like it, then you can too! Unroll pie crust onto a cutting board. Cut into about 6-7 slices, then cut each slice into squares. Cut the squares into triangles, so you have pieces resembling tortilla chips. Place evenly on cookie sheet, being careful not to overlap them. To make the dip, place the cream cheese and flesh of the avocado in a food processor. Pulse until smooth. (If you don’t have a food processor, you can use a potato masher and then a hand blender.) Add powdered sugar and vanilla and pulse until the dip comes together. Serve the dip alongside the chips for a sweet Cinco de Mayo treat! That sounds AMAZING Taz!! Love it. I want sweet guac! How cool is that? Obsessing over these pie crust chips too, btw. Avocados are one of my favorite things…this looks amazing! I have yet to try an avocado dessert but this might have to be my first 😉 Those chips? Awesome!! 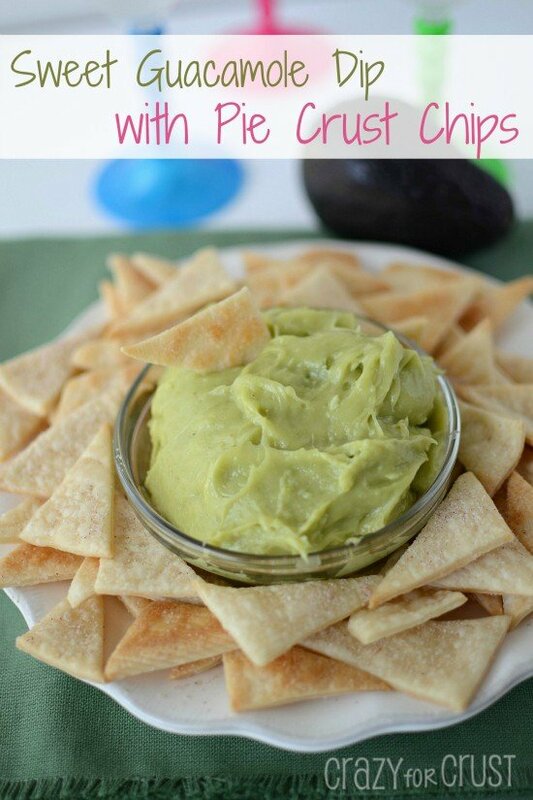 I’ve never tried a sweet guac dip before, but I totally trust you that this is fabulous! 🙂 And pie dippers? Love! 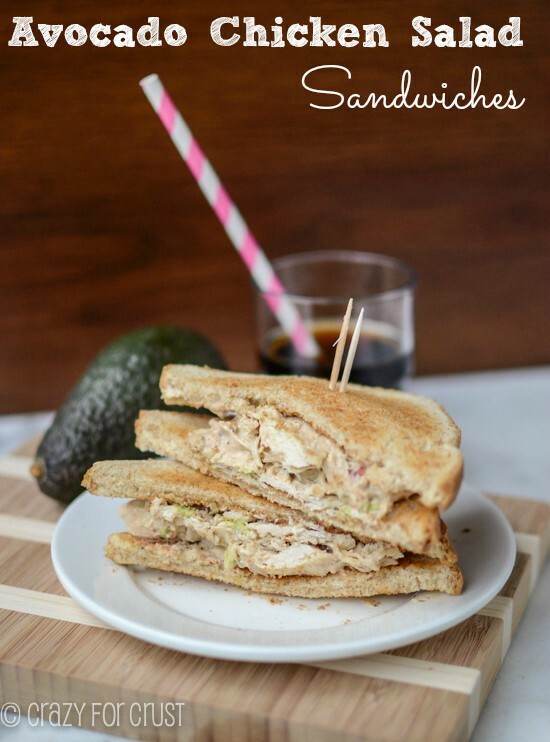 You had me at avocado…sounds absolutely AMAZING! We’ve love for you to show your posts with our readers at our Finished Friday Link-up. I totally get it, and totally love it!!! I just recently made a batch of baby food that could be a healthy alternative for the sweet guacamole. It’s so easy and yummy! I have to double the recipe so that I can have some too. The banana makes it sweet and creamy and the OJ adds a little tang (and a natural preservative). It’s also easy to freeze and thaw in the microwave (15-20 seconds per ounce). Blend it all up and serve cold. I love the banana idea! I’ll have to try it! This is so definitely a healthy dip. No questions asked. 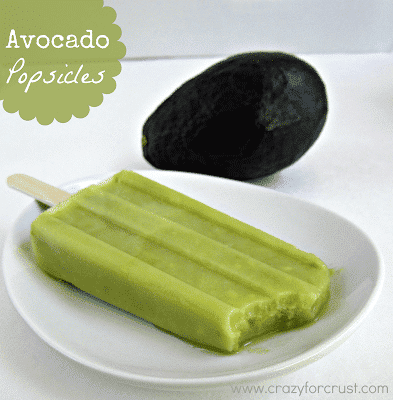 I happen to have an avocado sitting on my counter… hmmm, may need to make this asap! I love the idea of pie crust chips. 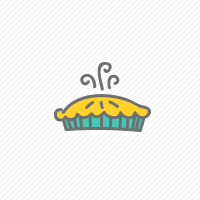 That’s how I swore I’d do chicken pot pie next time… just serve the insides as a hot chowder, served with pie crust rounds. Gotta be loads faster than baking the whole mess as pies, I’d think.